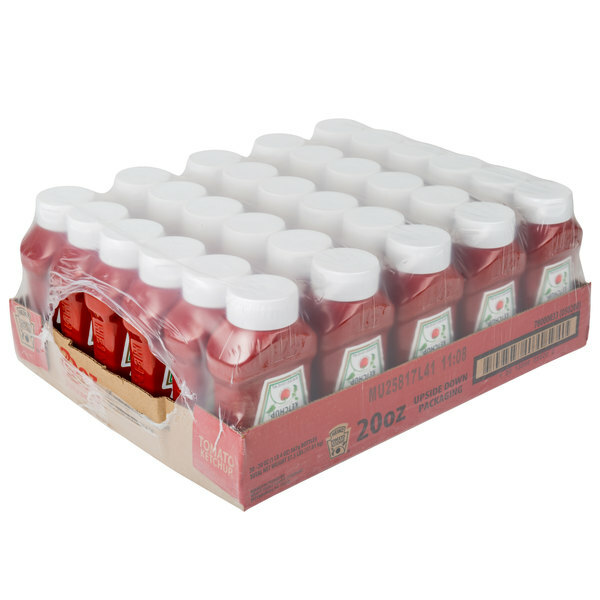 Drizzle Heinz ketchup over hamburgers and hot dogs with this 20 oz. upside down bottle ketchup, and give your customers the classic condiment they crave! 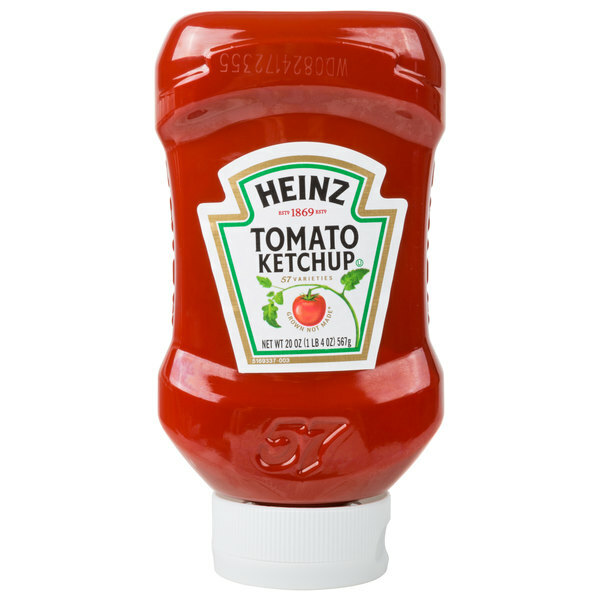 The upside down bottle design is easy for servers to sit on a table quickly and for customers to hold and squeeze ketchup onto their food. 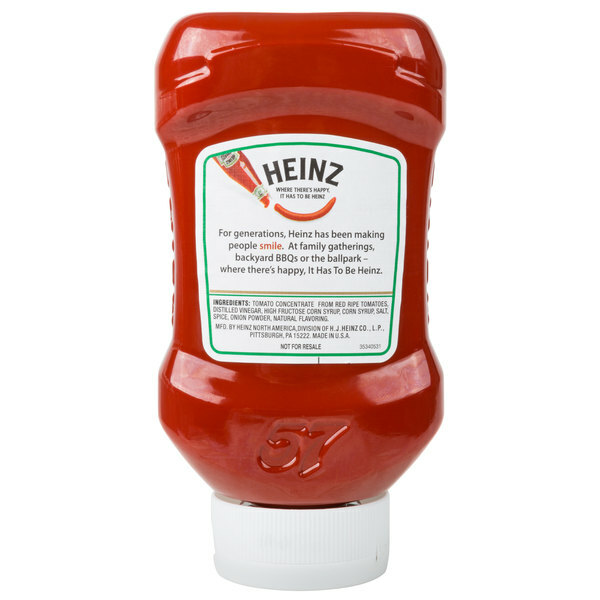 Using only the finest ingredients, Heinz makes their ketchup from the firmest, ripest, juiciest tomatoes. 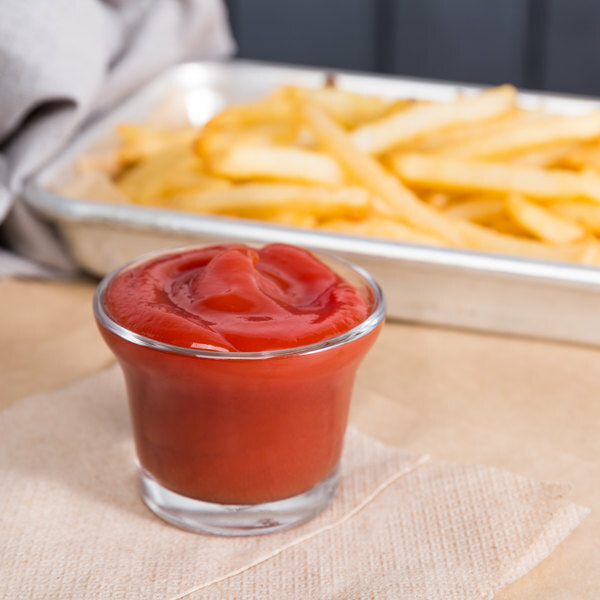 Rich, smooth and vibrant red in color, ketchup provides a savory, slightly sweet taste that's great for dunking mild fried foods like french fries in a cool, flavor-rich sauce. 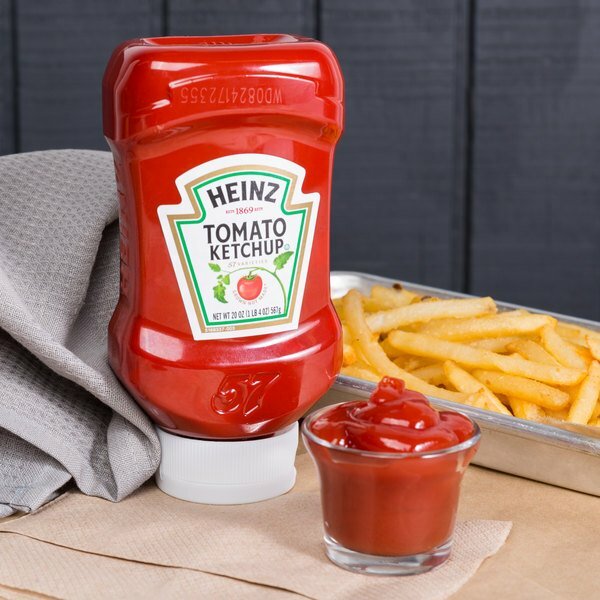 This ketchup is made from Heinz's own supply of tomato seeds, ensuring it's made from the freshest and best produce. Each tomato is packed full of nutrients, including essential vitamins, minerals, and lycopene, a healthy antioxidant found in cooked tomatoes. Use this ketchup, and treat your patrons to the timeless taste they grew up with and still love! Founded in 1869, Heinz condiments have been a part of America's mealtimes as a savory topping, tangy dipping sauce, or recipe ingredient. Made from high quality ingredients, you can find their beloved items almost anywhere as they're a great accent to delicious food dishes. Heinz condiments are sure to become a beloved staple in your establishment!